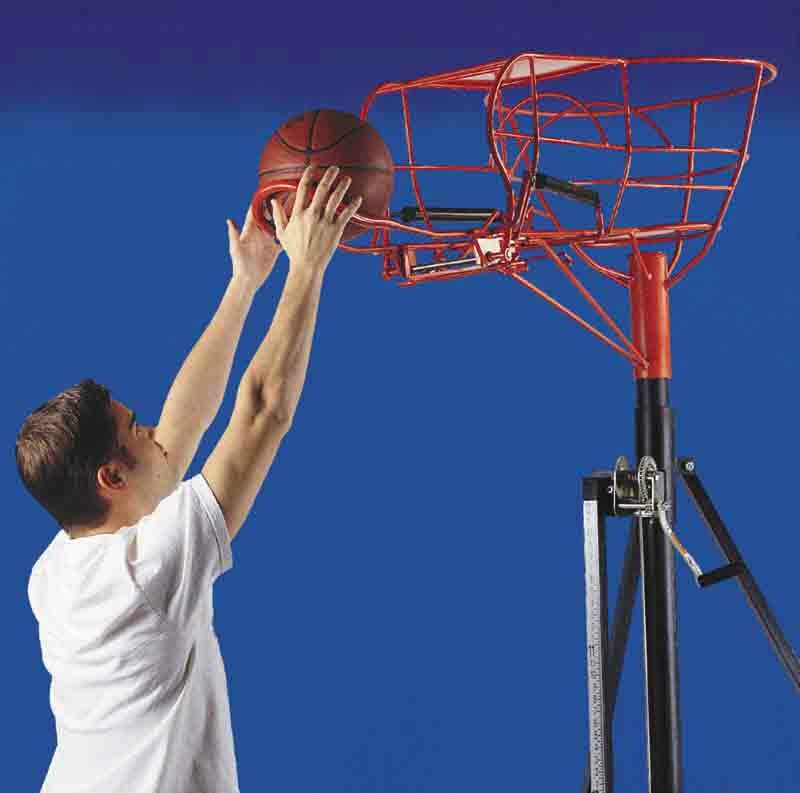 Basketball rebounding equipment makes a great addition to your individual or team workouts. 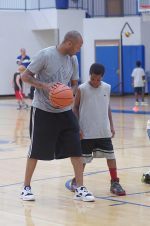 Encourage your young players to become impact players and game changers by developing strong basketball rebounding skills! Rebounding is one of the most important skills in the game. 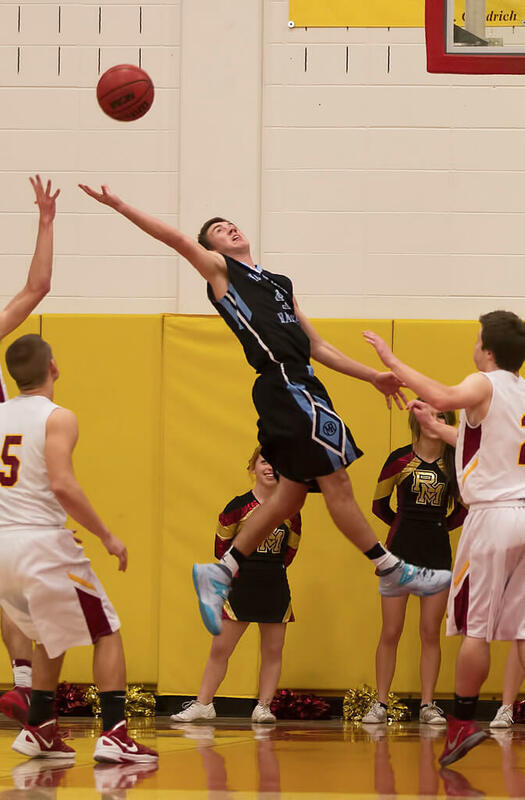 Regardless of position, every player needs to invest the time it takes to improve their basketball jumping skills, ability to anticipate where the rebound will go, and reaction time to beat their opponent to the ball. Look at any stats sheet and you'll see that most of the time, the team that wins the rebounding battle wins the game. Every team rebound is valuable because it means another possession for your team. Another chance to score. And one less scoring opportunity for your opponent. And every individual player rebound is a chance for you to literally change the outcome of the game. I've seen many games won by a player who pulled down a huge rebound at a crucial point in a game. And I've seen many games lost because a player failed to secure the rebound when it was absolutely necessary. The best way to develop these skills is with basketball rebounding drills and some good basketball rebounding training aids. Want to measure the height of your jump? Here's one tool to help you keep track of vertical jumping improvement. Plyometric exercises using boxes of varying heights are an excellent way to improve those explosive movements and leg strength necessary for peak jumping performance. These platforms attach to the bottom of the shoes allowing athletes to target their plyometric exercises on the calf muscles. I've never used these, but a lot of athletes swear by them. Weighing twice the amount of a regulation basketball, heavy training balls help players strengthen their fingers, hands, and arms. Use them in dribbling, passing, and rebounding drills to build upper body strength which is important for pulling down rebounds. Blocking shields help simulate the bumping and pushing around that happens underneath the boards. They're the perfect coaching tool for toughening players up with the comfort of pads instead of player to player contact. The ability to react and jump quickly in a variety of directions is key to beating opponents to loose balls and rebounds. This rebounder adjusts to 7 different angles allowing players to learn to react to a variety of flight trajectories. A reaction ball is an excellent aid for improving quickness and response time. It has 6 knobby sides which causes it to bounce in crazy, unpredictable ways encouraging players to stay low and on the the balls of their feet to change direction quickly. Kids have a lot of fun with these. Rim blockers provide a way to simulate game-like rebounding situations by giving players the opportunity to chase balls coming off the rim at various speeds and angles. These first products are very useful in that regard. They are all similar in that they block the rim to keep the ball from falling through. Every shot that goes up is guaranteed to rebound. These are really helpful aids for coaches and for players who are working out with a partner. It can be frustrating as a coach when you're trying to work on team rebounding and your shots keep going in. Believe it or not, it takes a bit of practice to be able to miss the basket on a consistent basis. With these aids, you don't have to worry about that. You just shoot the ball up and the rebounds are automatic. This clear lid with a bubble top causes shots to bounce off the rim in unpredictable directions, challenging players' agility and maneuverability. The Rebound Dome is made of a shatterproof material stronger and more durable than plexiglass. And installation is simple. It snaps on and off the rim with rubber mounts. This bucket-type apparatus with a lid sits down inside the basketball rim and causes balls to bounce off in random directions for realistic game-like rebounds. It doesn't require any installation. All you have to do is toss it up and guide it into position. Basketball rebounding rings are similar to the products described previously with a couple important distinctions. Instead of completely blocking the opening of the basket, these products are comprised of a metal ring smaller than the diameter of the rim that attaches to the rim. The ring is large enough to let a dead shot or lay-up fall through, but otherwise it guarantees that most shots will result in a rebound. Another difference is the predictability of the rebound. Since it has the shape of a ring it's more likely that balls will come off the rim in at more predictable angles and trajectories. This heavy-duty rebounder helps players build upper arm strength, grip strength, power, and control in ripping down rebounds. Players jump up, grab the ball from the hopper at the peak of their jump and pull it down. The hopper won't release until a certain amount of force is applied to it. The hopper height can be adjusted from 7' to 12' above the floor to accommodate players' different sizes and jumping abilities. The McCall's Rebounder comes in different models depending on how much you want to spend. I have memories of using this as a player in high school. Those were some challenging workouts as improved our timing, jumping, coordination, stamina, and strength.